I have a Brazilian friend. You think that I have friends everywhere, yes, but I have to thank IL VOLO. Her name is Stella Maris Bortolotti. She participated in all three concerts that the guys did at Espaco Das Americas in Sao Paolo, in September 21,23,24. Stella Maris also made about 200 pictures all very beautiful. I can say that I have experienced moments of great emotion! The three guys presented to us their great talent, bringing the audience to moments of pure enchantment. At every applause we got up, you know how much we were excited about! 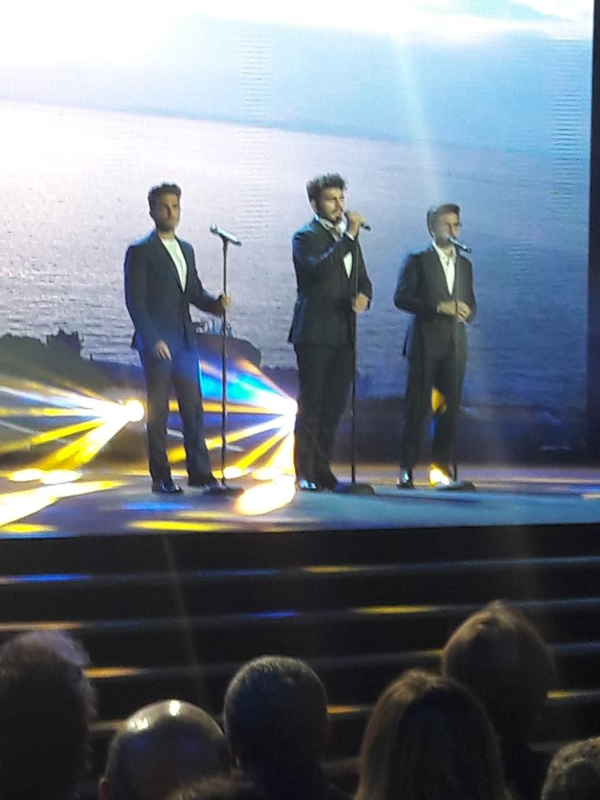 The three Italians with their beautiful voices (wonderful! ), they presented us with their affection (they are very friendly) with their grace, with humility, with their charisma. In addition to presenting beautiful songs (tribute to the three famous tenors: Pavarotti, Placido and Carreras), I can say that the presentations were a show, everyone was entertaining. At some point they invited a little girl of about five years to step on stage to sing with them, really sweet, and they invited all the fans to approach the stage. They treated everyone with great tenderness. I was in the front row. Just next to the stage and my camera, though not professional, is very good. They are special. I have already loved them and now I love them even more! 3 days of sold-out !! It was 3 really magic nights. Stella, your front row seats provided OUTSTANDING PHOTOS! Thanks for sharing. Lovely pictures. They seem to have had a great time in South America. 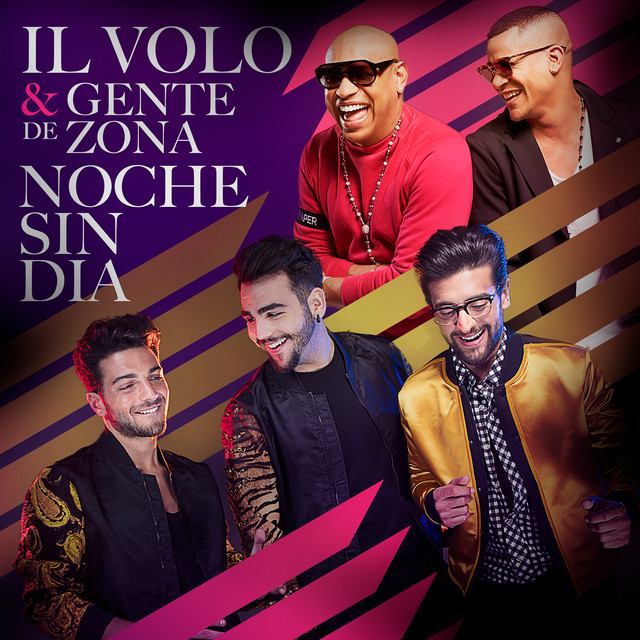 Stella, what a wonderful 3 nite’s of Il Volo for you!!! The photos are great! These precious young men capture all our hearts with their marvelous music & their genuine love for their fans!!! Anne, foram 3 noites realmente maravilhosas! Lovely, lovely pictures of our lovely, lovely guys! And their voices are lovely too! Wonderful pictures of our precious young men, I am so envious Stella that you saw 3 concerts, lucky lady. Hoping for a concert in States or Canada soon. Eu tive muita sorte pelos três concertos de São Paulo!! Foram 5 no Brasil! Stella desculpe, você perdeu o outro também. O Brasil é um país grande para viajar. Stella thank you for the great pictures of our young men and Daniela, thanks for the translation. Thank you RosaMarie, for me it was fun to translate the thoughts of my friend Stella and look at her beautiful 200 photos. Ignazio I don’t want to forget your birthday greeting. Hope you have a magnificent birthday with loads of fun & love from everyone at home & everyone you meet & that you see all our birthday wishes also. Sending the biggest hug ever Loretta from Toronto. Thank you for sharing your front row photos!!! Thank you for sharing everyday these wonderful pictures and notes on the boys. I can’t tell you what joy (and tears of happiness) your daily emails bring to me. With so much tragedy both natural–earthquakes and hurricanes and man made shootings and terrorists, it is so encouraging to have your delightful news about these wonderful young men with their big hearts and even bigger voices. Arlene – yes, thanks. I hope our site brings at least a little sunshine to all of this gloom and doom out there! Yes, those were remarkable photos from the front row! Wow, and they encouraged people to come to the stage? That is amazing! Obrigada a Daniela e a Jane! Passar minhas impressões sobre os shows de São Paulo foi como reviver cada momento feliz que vivi nas três noites de setembro!